The Pooch Pouch is not so much a pet accessory as it is a pet owner's accessory, but once again, I face the conundrum being found by the search engines. So, pet accessory it is. When walking your dog, you often end up with your pockets stuffed full of dog treats, plastic bags, and puppy-waste retrieval devices. NOT much of a fashion statement, nor is it terribly convenient for you to retrieve the wanted item. 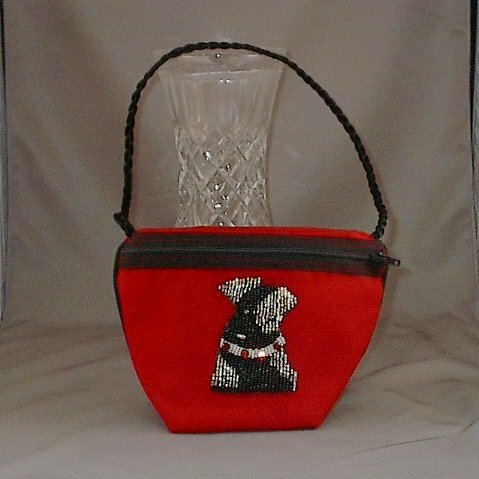 Here?s the perfect pet accessory to solve the problem: a bright red zipper pouch with a whimsical beaded dog decorating the front. 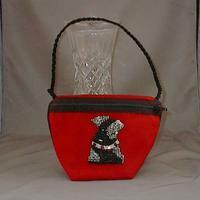 The pouch measures 5 inches tall, not quite 7-1/2 inches wide, and 3-1/2 inches deep at the base. It?s fitted with a braided cord carry strap and a large swivel hook for attachment to a belt or belt loop. Call it a pet accessory or a pet owner's accessory, it?s as useful as it is good-looking ? and so well-priced, too! This little gadget is a spot-on beauty!